Dr. Joan Culley is one of the few nurse researchers discovering informatics solutions for improving our emergency preparedness/response for chemical mass casualty incidents (MCIs). Her early career focused on practice and policy based contributions to our military’s disaster preparedness. During the past 17 years, Dr. Culley’s research and expertise in informatics has expanded her overall impact and dissemination in this highly unique field. 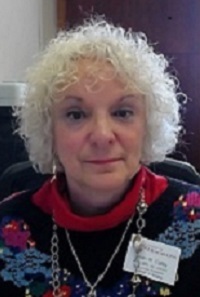 As the principal investigator on two NIH grants, she has assembled an interprofessional team of bioinformatics, computer science, engineering, human computer interaction, industrial hygiene, and biostatistics scientists, as well as local and national partners, to address the identified shortcomings in response to chemical MCIs. Dr. Culley’s team is conducting pioneering research in designing and testing computer-based informatics solutions to improve early identification, processing, and triage for patients admitted to the emergency department (ED) following chemical MCIs. Her research has led to the development of a novel irritant gas syndrome (IGSA) triage algorithm that is the basis for the logic used in the development of a prototype app that proves a flexible, robust and scalable informatics computational solution that has broader application for day-to-day use in EDs as well as for public health disaster response and management.